Many of your favorite styles like Zara, Alessandra, Gisele and others will be available in some of these new colours. 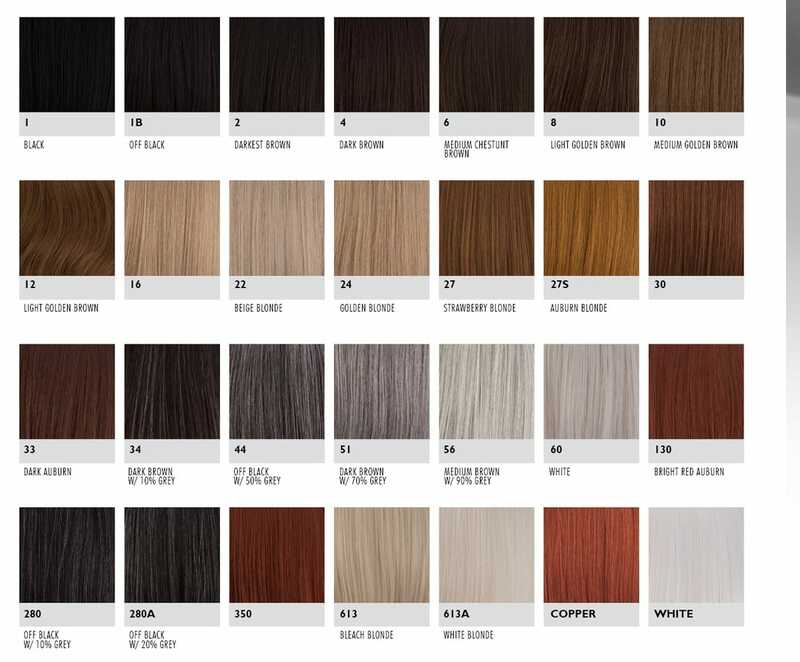 Always call us on 1300 797 579 or email us at sales@wigsonline.com.au if you are looking for a specific wig in a specific colour. F – stands for frosted. This is usually a combination of colours. H – Highlighted. Generally there will be a base colour with highlights of another colour. M – Mixed. Simply a mix of colours. T – Tipped. The base colour has another colour just on the tips. TT – Two Toned. There is a definite contrast of two colours from the top to bottom. After the code is usually a number or a combination of numbers. Colour 1 is Jet Black and as the number gets higher the colour is generally lighter. Here is a list of the main colours used by a majority of manufacturers. It’s impossible to list all colours available by all manufacturers and colours can differ between manufacturers. Hopefully, this list helps in giving you an idea of what you colour you are looking for. At Wigs Online we rephotograph all of our wigs so you can see the colour and style of the wig that comes straight out of the box with as natural lighting as possible. Some websites only show glamorous shots that the manufacturer has made. They don’t always give you a true indication of the product that you will receive when you open your purchase.